Summit, NJ, May 3, 2018 | Summit Communications Solutions, Corp, a NJ Corporation, is proud to be the North American distributor of RFOptic, a leading provider of RF over Fiber (RFoF) and Optical Delay Line (ODL) solutions. RFOptic and SummitCSC also offer highly customizable Optical Delay Line solutions that can support up to 40 GHz, 20 GHz or lower frequencies. The ODLs support a wide delay range ranging from 20 nano seconds up to 700 micro seconds. ODL can be remotely controlled. Standard ODL which supports up to 8 distinct delay lines. Programmable ODL, aka progressive ODL, which is used when hundreds of delay combinations are needed. One good example is step delays such as 2 microsec steps from 1 to 300 microsec. Dispersion Control. As longer delays are needed at higher frequencies can cause significant dispersion issues. Automatic Gain Control. This prevents discrepancies in link gains when using long and short delay lines. Based on the market feedback, SummitCSC and RFOptic continue to innovate. One of the upcoming features will include SNMP control of the RFoF links. For more details on our solutions, contact SummitCSC or RFOptic. 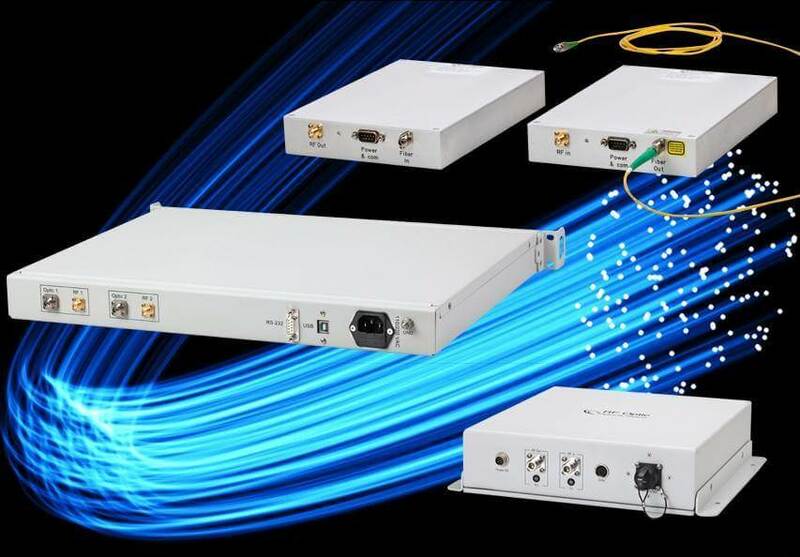 RFOptic is a leading provider of RF over Fiber (RFoF) and Optical Delay Line (ODL) solutions. For the last 20 years, its team of industry veterans has been developing, designing and integrating superior quality technology for a wide range of RFoF and ODL solutions. The solutions are deployed at various industries, including broadcasting, aviation, automotive, and defense. RFOptic offers its customers and OEMs various off-the-shelf products, as well as custom-made solutions optimized for a wide range of RFoF products at affordable prices and with a quick turnaround. RFOptic’s mission is to help its customers to turn innovation into a real business by providing them with the highest quality, cutting edge RFoF solutions as well as customized solutions based on individual requests and objectives.